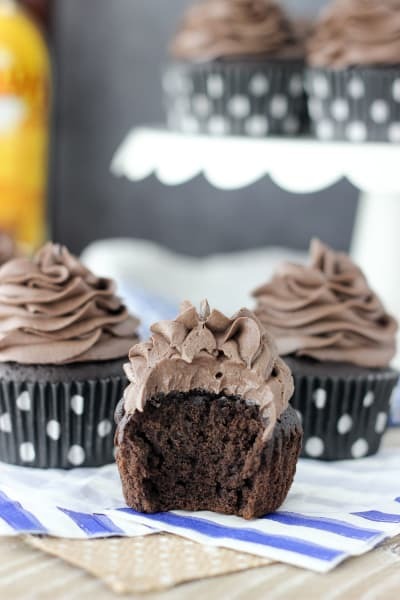 Kahlua cupcakes are addictive chocolate cupcakes spiked with coffee flavor. They’ll knock your socks off! Can we be friends if I bring you cupcakes? You see, there is no shortage of cupcakes in my house and I need people to take them off my hands. I usually spend my weekends baking and when I make cupcakes on a Friday, I want to get rid of them ASAP before I eat them all. These Kahlua cupcakes are no exception. 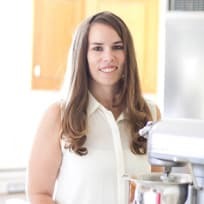 After months and months of working on no-bake recipes for my cookbook, I am finally getting back to baking. I made several batches of these Kahlua cupcakes both from scratch and also with a cake mix. I decided that these cupcakes were best made using a chocolate cake mix. Using a cake mix gives these cupcakes some extra height, a bit of extra moisture and definitely a lot more of the fluff factor. 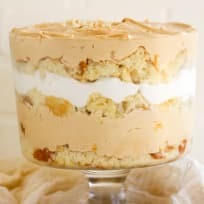 You can’t beat using the cake mix. While this base recipe starts with a chocolate cake mix, I’ve added a few more elements. You’ll need a touch of cocoa powder to intensify the chocolate flavor, and I’ve swapped out the water for Kahlua. Lastly, I’ve added some light sour cream. The sour cream does wonders for the cake mix. Beyond adding moisture, the sour cream contributes to the airiness of the cupcake. 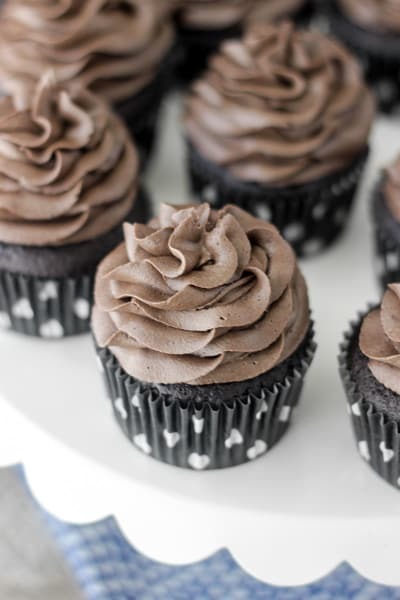 Now lets talk about the frosting, because we all know cupcakes are about the frosting, right? Most non-frosting fans tell me that they love my frostings and they are the only frosting they actually eat. What can I say? I set high standards for my frosting! 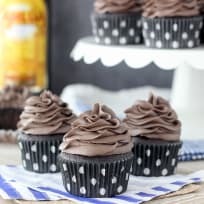 I’ve adapted my recipe for the BEST chocolate frosting for these cupcakes. 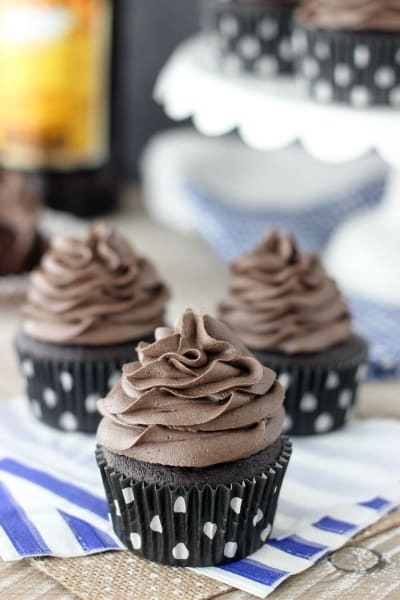 This chocolate frosting has a hint of coffee and is lightly spiked with Kahlua. There is one more requirement for this frosting: lots and lots of chocolate. You can decide how much cocoa powder you want to add here. 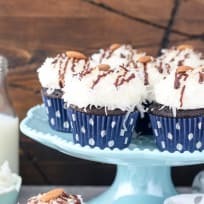 While some people might prefer a stronger chocolate flavor, the way I wrote this recipe provides the perfect balance to let the cupcake shine through. 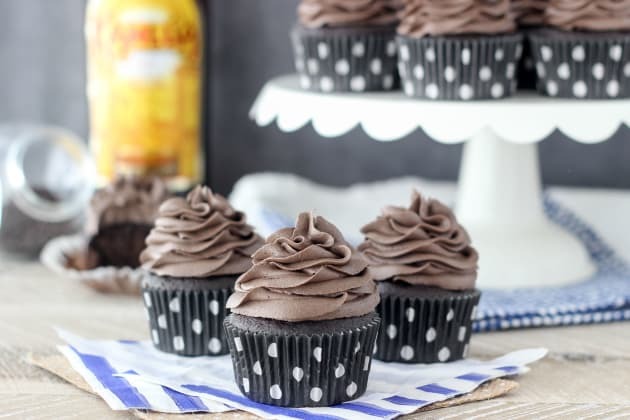 You really can’t go wrong with these Kahlua cupcakes. 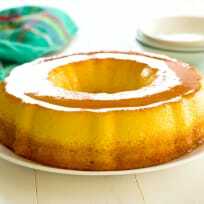 In a large mixing bowl, combine the cake mix, cocoa powder, sour cream, Kahlua, vegetable oil, eggs, and vanilla and mix until the batter is thoroughly combined. I suggest using a spatula and turning the batter over from the bottom to the top to make sure the oils are well mixed. 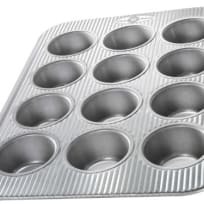 Line two 12-cavity muffins pans with liners. Divide the cupcake batter evenly for each cupcake. Bake the cupcakes at 350°F for 15-18 minutes. To see if your cupcakes are done, insert a toothpick into the center of the cupcake. If the toothpick comes out clean, your cupcakes are done. Allow the cupcakes to cool in the pan for 10-15 minutes and then transfer to a wire rack and cool completely. In a small bowl, mix the boiling water and the instant espresso powder. If you don’t want to make the instant espresso, then you can use a strong brewed coffee. 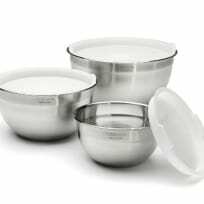 In a large mixing bowl, whip the butter for 3-4 minutes until it is fluffy and well whipped. Slowly add the powdered sugar 2 cups at a time. 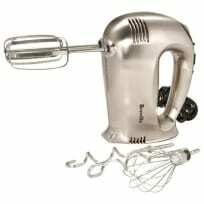 I suggest reducing the mixer speed so the powdered sugar does not fly everywhere. 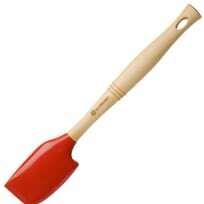 Once incorporated, increase the mixing speed to medium-high and beat for 30 seconds. As you are adding the powdered sugar, the frosting will become thick and crumbly. Alternate adding the brewed espresso and Kahlua in between the cups of powdered sugar. At this point you should also be alternating in the cocoa powder. 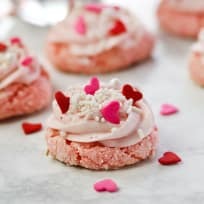 Once all of the ingredients have been added, beat at a high speed for 60 seconds until the frosting becomes nice and light.